Kevin Kelly is CEO of technology firm LGS Innovations. 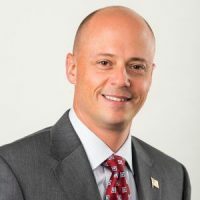 His experience includes 15 years with the company as well as stints in leadership positions at General Dynamics Advanced Information Systems and Lockheed Martin. Kelly: “The Assault on Intelligence” by Michael Hayden. Like most people who support the intelligence community, I have come to know and respect General Hayden for his knowledge, wisdom and experience with the inner workings of the IC and its role in shaping the geopolitical national security posture. However, lately I find myself longing for the past when IC leadership refrained from political advocacy and instead focused solely on the mission; which by every measure is apolitical in nature. I heard General Hayden speak recently about his book, and although I anticipate a healthy dose of politics, I hope to gain further insight into this true American hero’s perspective of the state of our intelligence community in light of recent world events. “The Outsiders: Eight Unconventional CEOs and Their Radically Rational Blueprint for Success” by William N. Thorndike. I began reading this book a few months ago and was interrupted by a very busy spring filled with family and life events. I was really enjoying this book, so I plan to return to it but not where I left off; I want to start at page one and read it from cover to cover. The author offers an analysis of eight CEOs whose performance has produced exceptional results despite their unconventional background, education and career paths. As a CEO who has risen to a position via an unconventional path myself, I enjoyed finding a bit of myself in each of the CEOs I was learning about. I look forward to restarting this book soon.